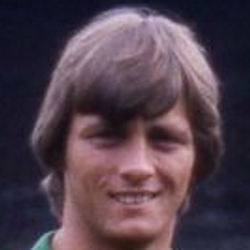 Andy signed for United from Johnstone Burgh in 1977. As deputy to goalkeeper Hamish McAlpine, he had few opportunities to get into the first team at United. Making his debut in May 1978, Andy next opportunity came in the summer of 1979 after McAlpine's well publicised fall out with manager Jim McLean during a close season competition in Japan. Andy was in goals for the final against Tottenham Hotspur, and started the first two games of the 1979/80 season, Dryburgh Cup matches against Dunfermline and Celtic. However former England international Peter Bonetti was brought in, and by September McAlpine was back in favour, with Graham fighting it out with Bonetti as back up. When McAlpine picked up an injury near the end of the campaign, Andy was in goals for the final two games of the season. A regular for the reserve side during his seven years at Tannadice, Graham was an unused substitute for a few of United's European ties, including the famous victories over Monaco and Borussia Moenchengladbach in 1981. He also made a further two domestic appearances that season. By the 1982/83 season Andy was battling it out for the back up keeper position with John Gardiner, and in March he was loaned out to Forfar Athletic and later Stirling Albion. The following season he was again out on loan, firstly to Raith Rovers and then again to Stirling Albion, who eventually signed him on a permanent contract in the summer of 1984. After six years at Annfield Stadium he joined Division One rivals Kilmarnock in 1991, and in 1992 moved on to Sligo Rovers. Andy was born on this date in Irvine, Ayrshire. United returned to Pittodrie only three days after their demolition of their North East neighbours in the League Cup semi final and were looking to kick start their league campaign. United's only change was Andy Graham in goal replacing Hamish McAlpine, and the young keeper certainly impressed with many important saves late in the match.